At a time when bullying and depression are on the increase amongst children and adolescents, an educational app to help build self esteem and optimism has been created by a Melbourne schoolgirl and her family. Positive Penguins is a simple, interactive, educational tool to help children understand why they experience a range of challenging emotions. In a fun way, it gives them practical ways to understand and cope with these emotions and, most importantly, change the way they think. 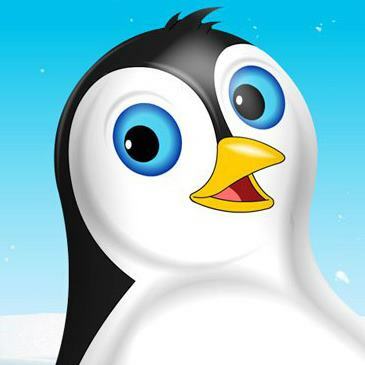 Sara Price, an 11 year old Melbourne Grammar School student is the creator of the Positive Penguins ipad and iphone app. The idea grew from a healthy mind and body project she worked on when she was just nine. Sara was inspired by a positive psychology exercise introduced to her by her mum, Meg Price, who runs her own HR consultancy and leadership development company. Sara wanted to make it more fun and came up with a PowerPoint presentation featuring four penguin characters. “I decided to make my characters penguins because I’d learnt that they are one of the most resilient animals on earth,” Sara says. The project was well received by other students and Sara was asked to present it to a school assembly. Then parents began asking if they could share the Positive Penguins with their own children who were experiencing issues ranging from anxiety and fear about being picked on, to anger and frustration over homework. During discussions around the dinner table, the Price family saw the wider potential of the Positive Penguins and from this, the app was born. “We were convinced that if the Positive Penguins could help other children as much as it had helped our own family, then we had to find a way to make it happen,” Meg says. They engaged a Melbourne based company OMate to work with them to build the idea into a working iPad and iPhone app, integrating some fun elements and a game. Sara and her two brothers, Charlie and John were heavily involved in the design and helped decide on the little details relating to the penguins’ accessories and even their eye colour. The app has taken six months to develop and has just been released on iTunes. Meg Price says that although the app is developed by children for children, it is grounded in positive psychology teaching. “There are many education apps in iTunes today, but there are very few that help children learn how to be more resilient and optimistic,” she says. This is a wonderful app to help your child deal with their emotions. There are 12 different emotions to choose from, and the next activity varies depending on the emotion picked, if you feel ‘happy’ you can play the game, or if you are feeling ‘sad’ for example, this is where the app takes you to a wonderful journey of learning. Your child’s journey begins with 1 or 4 penguins to help them work through their emotions by a series of questions which your child answers and it ‘feeds’ it back. I am amazed at the amount of emotional talent such a young girl possesses. The app comes with a large amount of support material as well as additional items on the website, that will help give your child skills they will need for life. It has been shown adults with a high EQ do far better generally than those with a high IQ.